In this series, we help out the bumper crop of cannabis lovers who can legally grow a pound, saving themselves money and ensuring a clean stash. The series continues with the third of three blockbuster strains: Original Glue, a.k.a. GG#4. Don’t call it “Gorilla Glue #4” or “GG#4”—Nevada breeders GG Strains lost that battle with the makers of the famed adhesive. Call this strain “Original Glue”—as in the first and maybe the best of the Glue craze. A few years back, breeder Joesy Whales noticed the strain he was trimming was so resinous that nearly everything stuck to his hand like glue. Cannabis lovers have since glommed onto Original Glue like few other strains in the recent memory. It has taken over markets, spawning exclusive licensing deals by the company “GG Strains”, plus unlicensed crosses, knock-offs, and more. You can’t blame anyone. Original Glue is full of good stuff. It takes one of the world’s most popular strains—Sour Diesel— and triple back-crosses it, then mixes it with Chocolate Thai. Yup. The resulting indica hybrid smells like fuel, pine, and chocolate, and hits strong. No surprise then that we’re all trying to add a little Glue to our gardens these days. You’ll find Original Glue seeds aplenty online, plus a raft of 2019 crosses in legal states. Here’s where and how to buy legal Original Glue seeds and clones—growers call ‘em “genetics”— in America’s legal cannabis markets and beyond. Original Glue (a.k.a. Gorilla Glue #4, GG4) comes from GG Strains of Nevada. The company closely holds the original genetics, licensing it to GG Strains-authorized growers for dried flower sales to consumers. 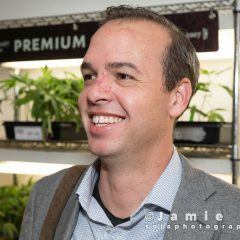 GG Strains’ marketing director “Cat” told Leafly to look for official “Original Glue S1” seeds in summer 2019 through the company Pure Sativa. Keep in mind, online retail legality varies by state and country. Check state laws to know what’s legal. Seed banks exist outside of the US and can sell them for “souvenir purposes,” but it is illegal to bring seeds into the US and Customs will seize any cannabis seeds that they find in packages or on a person. If you want stay as legal as possible, California, Oregon, and Colorado might be the easiest places to look for the Glue. GG Strains does not retail official Glue clones in California, Cat said. But you can search for non-official Original Glue seeds and clones among the nearly 500 licensed recreational stores and delivery services scattered across the state. You’ll need to bring cash and a valid I.D. showing you are 21 or older. Oregonians age 21 and over have world-class access to legal seeds and clones under the state’s adult-use and medical cannabis legalization laws. The Greater Side in Eugene, OR carries seeds by breeder Exotic Genetix, who works heavily with the Glue strain family like “Chocolate Marshmallows” (GG4 X Mint Chocolate Chip) and “Shaved Monkey” (GG4 X Tina). Breeder Mosca Seeds makes a Pink Gorilla strain available at Talent Health Club in Talent, Oregon. Lux Leaf, Colorado Springs, CO list “GG4” seeds for sale. Lucy Sky in Denver, CO carries Dark Horse Seeds, which advertises a “Original Gorilla Glue #4” and “Strawberry Glue” seed. Kind Castle in Parachute, CO has Crazy Glue seeds for sale from The Lab. Ballpark Holistic Dispensary in Denver, CO carries Ethos Glue from breeder Ethos. Billo in Steamboat Springs, CO also stocks Ethos Glue. Only qualified medical patients in Washington can cultivate cannabis for personal use, so licensed adult-use retailers do not carry seeds and clones. Qualified patients with a “recognition card”—as well as cooperatives—can purchase seeds from state-licensed, commercial cannabis farms. State regulators suggest calling each of the 1,400-plus licensed producers to see who will sell to you. For example, licensed producers Fine Weed sells to medical patients and collectives. Washingtonians report visiting Oregon to obtain clones seeds and clones, but transporting them across state lines is not legal. Nevadans can legally grow up to six plants at home, but only if they live more than 25 miles away from a dispensary. We’re not seeing seeds or clones for sale in Nevada’s licensed, adult-use retailers. Gifting is legal in Nevada, so friends and community events might be your best bet. Residents of the District who are age 21 or older can grow up to six plants, but they can’t buy seeds or clones in licensed, adult-use stores. Congress has blocked funding that would allow commercial adult-use sales in Washington DC. Informal cannabis community meet-ups in the District are the place to start your search. Gifting cannabis among adults 21 and over is legal in Washington DC. Maine legalized adult-use cannabis in 2016, but failed to implement commercial sales since then. Maine residents 21 and over can grow up to six mature plants, but must get creative about how they obtain those seeds or clones, including going to events, asking friends, or researching online. Maine has no timeline to implement the will of voters with regard to legalization. Massachusetts legalized home-growing up to six plants in 2016, but did not start commercial sales until October 2018. Very few retail store options exist and those store generally do not list seeds or clones for sale yet. Adults 21 and over can gift each other cannabis, though, so turn to medical growers and friends, and cannabis events to get you through 2019. In 2018, Michigan voters legalized home cultivation of up to 12 plants—which is a lot! However, no retail adult-use outlets are open to sell you seeds or clones in Michigan yet. Gifting is legal, though, so grower friends, cannabis community events, and online swap-meets will be your best options until commercial adult-use sales begins in early 2020. Yes, Oklahoma. The medical state has come raring right out of the gate in 2019 with a very freedom-oriented medical system based in Oklahoma City and radiating outward. Cannabis is super-illegal in the state of Texas and we do not recommend buying seeds or growing cannabis in the conservative state. Don’t mess with Texas. Maybe move to Oklahoma. New York has a very limited medical cannabis program that bans homegrowing cannabis. There’s no stores that sell seeds, and we do not recommend importing or cultivating in New York at this time. Not seeing your state listed? Read Leafly’s state by state guide to homegrow laws to learn more about what’s going on in your area. Did you find this guide helpful? Shoot us a comment. It’s Time to Buy Cannabis Seeds!